Many of you may have heard me say, "you have to know where you have been, to know where you are going." Not only does this give you the foundation to know what you need to plan for, but frankly, it's also always good policy to acknowledge the past before moving on. So that's what I wanted to share with you all today. As we prepare for a new year filled with exciting research, I wanted to take some time to share-in my opinion-our best research from 2018. 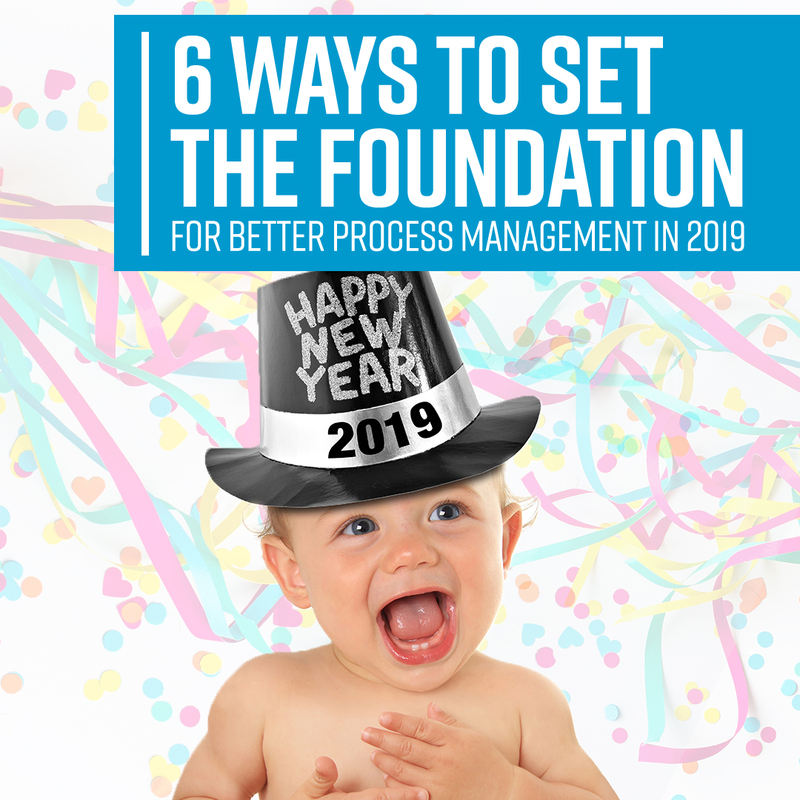 We started 2018 with the eye-opening feedback from you all that process and performance management professionals felt the need to grow their capabilities to stay relevant. More specifically we need to bolster our competencies in new technology, human/user design, and facilitation of change. This research explores the changing business environment's impact on business process management and discusses the key skills and methodologies that will help process teams not only stay relevant but also provide additional value to the organization. Automation has quickly become a vital tool in our continuous improvement toolbox. Hence organizations need to understand when and how to apply it for maximum effectiveness. This research examines the drivers behind automation efforts, guidance on selecting processes for automation, governance and measurement practices, and core skill sets for effective RPA implementation. In a technology-driven world one key differentiator is the ability to improve the human experience. Hence, smart organizations use human-focused techniques like design thinking to tackle a variety of business challenges both internal and external. This research explores where organizations can apply human-centric design, its key features and benefits, and how to apply this technique at your organization. The adage goes that "change is the only constant". This constant state of change means that organizations must understand how to reduce resistance and shepherd employees through change initiatives. Unfortunately, though change management is a mature discipline in many ways, organizations continue to struggle with effective change. This research explores trends in change management practices and looks at the gap between "check the box" practices and those that instill behavioral shifts in employees. As organizations continue to put greater emphasis on facts-based decision making, ensuring relevant measures and timely access to data becomes increasingly important. However, picking and aligning the "right" KPIs to the organization's goals is often easier said than done. This research explores the KPIs organizations use to manage operations, their alignment to organizational goals, and the role that measures and reporting make on the decision-making process. An end-to-end process mindset is often necessary to help organizations achieve their goals because they help with large-scale issues such as organizational agility and customer-centricity. Such goals rely on understanding how the organization creates value and aligns the purpose of its processes. This research collection includes end-to-end process maps, based on the Process Classification Framework®, combined with related KPIs and benchmarks for the most common end-to-end processes. And speaking of the future, please share your biggest Challenges and Priorities for 2019 with us. This information helps us continue to ensure our research agenda meets your needs and understand the common challenges and goals of you and your peers. Thank you all for making 2018 such a great year and I look forward to the things we will accomplish together in 2019.